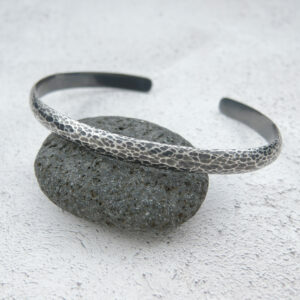 Ripple Bangle handcrafted from recycled EcoSilver with individuality and uniqueness in mind. Inspired by rockpools and the ripples in water, these bangles are unique, one of a kind creations. 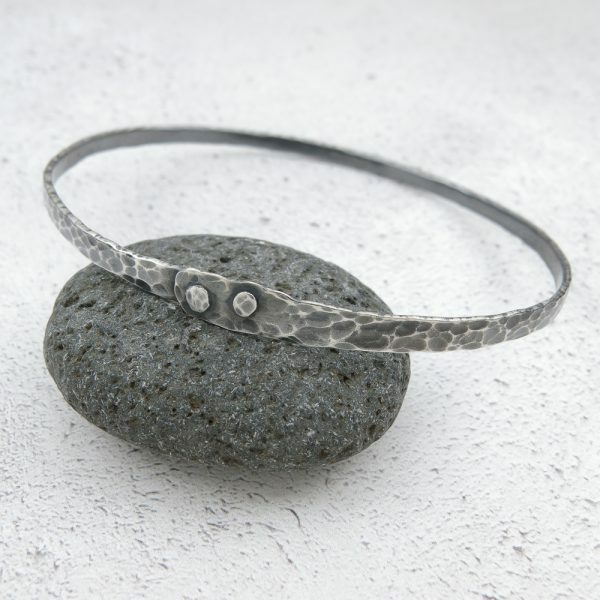 Thick bands of recycled EcoSilver are given a rippled texture and tapered slightly at the ends which are riveted together with either silver or copper rivets to form a closed bangle. 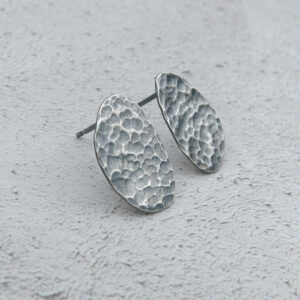 Perfect for everyday wear with unisex appeal. 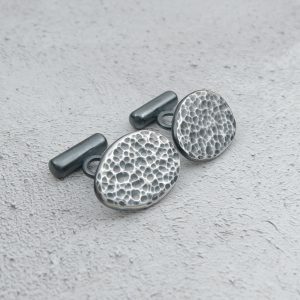 The EcoSilver is oxidised and the surfaces polished back to reveal the intricate textures within each layer. The rivets are either formed from molten silver dust collected through the process of making other pieces in the collection or from recycled copper plumbing pipes. 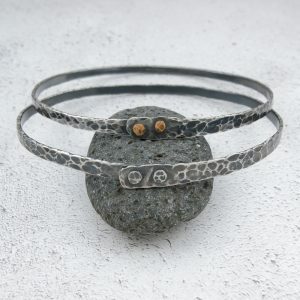 These bangles are oval and these sizes relate to the widest diameter. 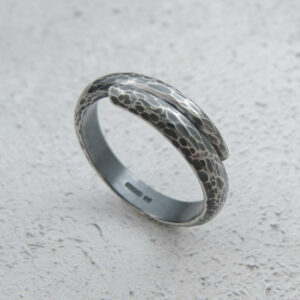 You can specify the size you require before ordering. 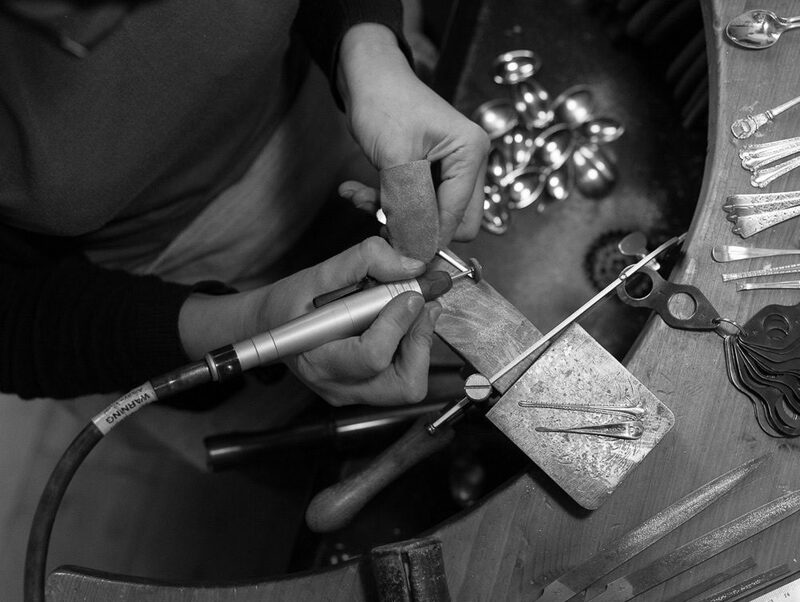 The photographs show an example of what you will receive – as each bangle is handmade, the one you receive will differ from the ones photographed.